I remember the two platonic love affaires which marked my life during my adolescent years. The first [Steffi Graf], who was already winning Grand Slam titles when I was still going through secondary school, never gained the approval of my father: “Do you really like that woman? But she’s not exactly pretty, is she? But I really liked her and the less he liked her, the more I did, the more special she seemed to me. She was more my own and belonged less to the others. 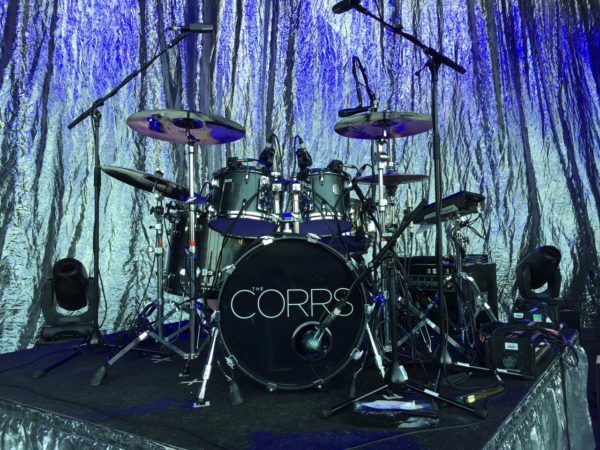 The second [Andrea Corr] – that was at the end of the nineties – my father did accept (he wasn’t stupid was he?! ): “this one really is pretty”, he would say, but the age of posters had long gone and the only one to conquer my bedroom walls was the German girl. The truth is, the last thing I ever saw of her [the second one] was her face, because at home, in late 1997, all we did was listen to ‘Talk on corners’, and I, by then, was far from adolescent. I was well on my way to adulthood but listening to her songs was the nearest thing to being cool at the time. None of my friends had even heard of her, and some still haven’t, even today. Just to know that I was a fan of group hardly anyone around me had ever heard of – and if they had they would call them ‘cheesy’ – was something similar to Steffi Graf. It used to make me feel exclusive, and I loved that. And I still do. I shy away from the masses, and from easy choices; from being either a Madrid or a Barcelona fan, if you know what I mean. 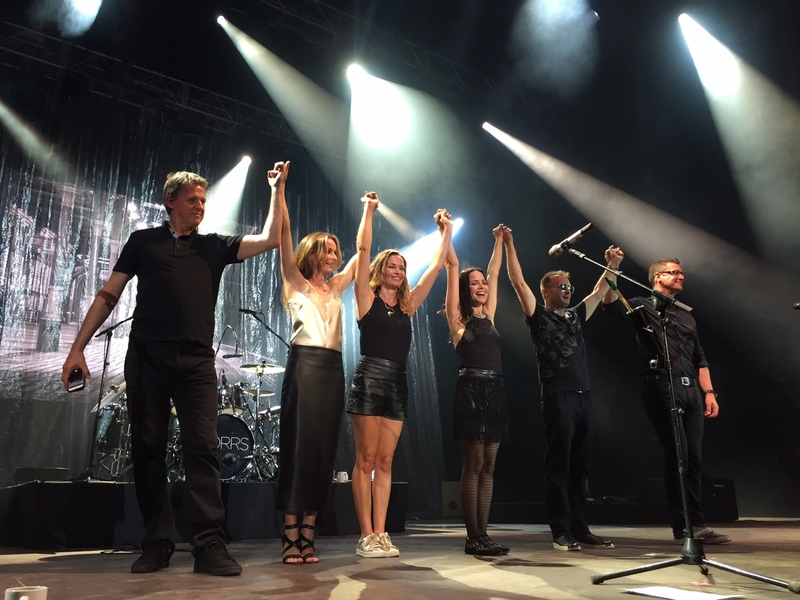 The thing is, that on 16 August last, the Corrs came to Málaga. I remember them advertising a concert in Málaga in the late nineties, at the Cervantes Theatre, but shortly after advertising it, it was announced that the event was cancelled. Nevertheless, my constant restless, fidgeting nature led me, during the days running up to the concert, to submerge myself, as if it were some sort of ritual – a ritual of emotional preparation – in the archives of the Málaga newspaper, ‘Diario SUR’, where the ‘non-concert’ had been advertised. During my immersion, I came across a reference to them (click here if you want to see it), but to my great surprise it was a photo, under which it said that the group was going to play, and I recall perfectly that they didn’t and It still leaves a bad taste in my mouth. I’ve already made an appointment at the theatre’s archives. I need to find out the truth! At this point, I must express my gratitude to my friend Javier, Hugo Cortés, and to Ignacio and Beatriz, of Starlite, for doing everything possible to make the concert an unforgettable night. But, above all, I would like to thank Álvaro López for always being available and for his loyalty and friendship. He’s a brilliant chap, in all of life’s respects, and what he does is amazing. With a ‘set list’ of 20 songs, with plenty of room for new numbers, greatest hits and Celtic music, the concert lived up to expectations. And I must admit that I re-lived that era and I loved seeing my second platonic love just a few metres away, even though you probably couldn’t tell. Well, maybe a little. What a voice! ‘The’ voice. Following the typical ‘drum intro’ by Caroline, they played ‘I do what I like’, the first track on the new album ‘White Light’, the title track itself being reserved for the final bonus. Then came ‘Give me a reason’ and ‘Forgiven not forgotten’, a song from their first album and the first piano piece of the night. ‘Bring on the night’ led us to ‘What can I do’, the best known song from their ‘Talk on corners’ album, in which Andrea asked herself what she could do to make him love her. Following ‘radio’ came the most exclusive point of the night, the Irish ‘Ceilidh’: a medley of three songs ‘Lough Erin shore’, ‘Trout in the bath’ and ‘Joy of life’, which transported all of us off to a Galway pub, with violins and piccolos as the soundtrack. The silence fell as Andrea sang ‘Runaway’, the group’s anthem. The song ended and there was a standing ovation of more than five minutes while she burst into tears. That was an awesome moment. To sing ‘With me to stay’, Andrea took up a Ukulele and finished off with an a cappella performance of ‘Ellis Island’, the best song on the new album, which tells us of migration and refugees. Many were Irish in the 19th century and that was the island which marked the entrance to the USA, to New York. It is said that one out of every three Americans descends from an immigrant processed at Ellis Island. ‘Love to love you’ was played and blended into ‘Only when I sleep’, one of the band’s best-known songs. ‘Queen of Hollywood’ and ‘Dreams’ (a cover version of the Fleetwood Mac song) took us round to ‘Kiss of life’, from the new album, a song dedicated to Gerry Corr, the father of the four, who had recently passed away. He was a key player in the group’s success story, since he was also a singer, regularly covering Abba and Eagles songs for his kids, who grew up in a musical world. ‘I never loved you anyway’ and ‘So Young’ was the first of the closing numbers. But something was still missing. We heard ‘White light’ for the final crescendo, followed by ‘Breathless’, a very lively pop number, and they went on to round it all off with an instrumental, traditional Irish version of ‘Toss the feathers’. They are a group who are incredible to see performing live. I love their Irish-lilted English and their very special musical instruments. That’s what keeps an Angel company when it sings.